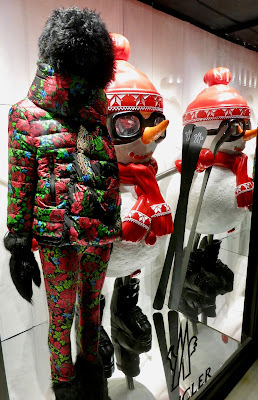 With their miniature snowmen in a repletion format Moncler as always looks superb but also of course seasonal. 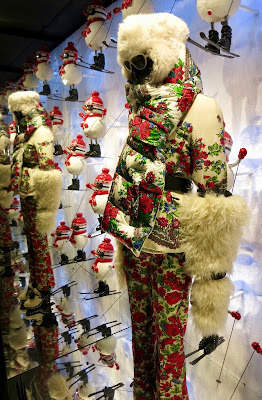 While so many brands (with the exception of the value retailers) appear to be ignoring the usual Christmas-style installations at least this one is getting us in the mood for the pending festivities. Well, actually, probably like most people in the VM industry we were over Christmas decorations last June although we guess everyone else can appreciate the spectacle.